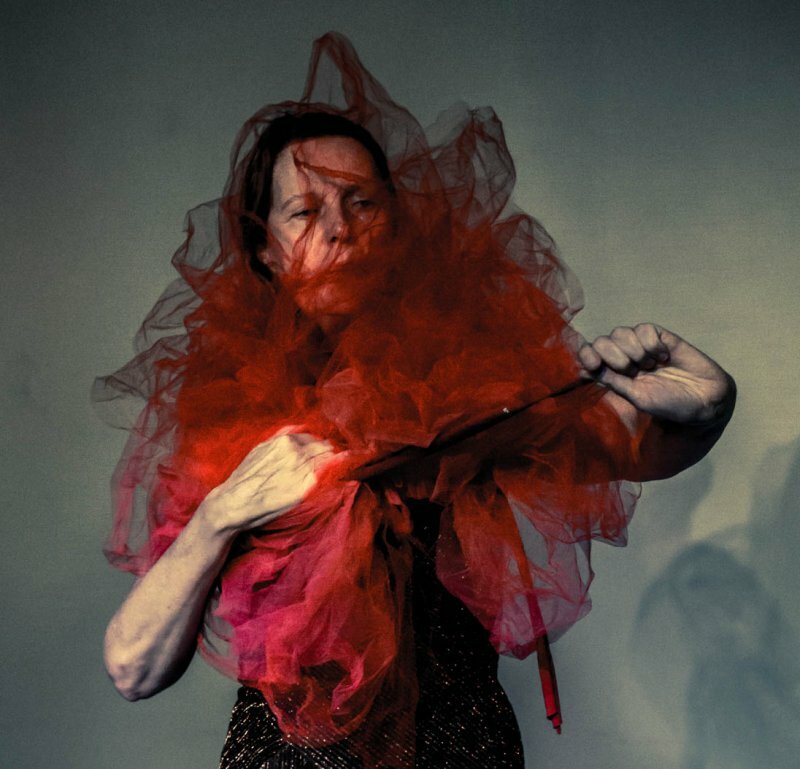 This three-day performative workshop will take place under the direction of Jacqueline van der Geer (Canada) in collaboration with Lulu Obermayer. Nach einem intensiven Workshop am 13. und 14. Juli findet eine öffentliche Präsentation in der galerie KUB und im öffentlichen Raum statt. Das Projekt wird von der galerie KUB unterstützt. Von daher fällt für die Teilnehmer*innen ein Unterkostenbeitag von nur 20 Euro für die gesamte Zeit an. Costs: The workshop is grant by KUB gallery. The costs for the hole workshop are 20 Euro. Description: KUB gallery, in collaboration with Jacqueline van de Geer and Lulu Obermayer, present this July a 15 hours exploration to play/research/develop and perform on your own. When an artist works alone, it is sometimes difficult to find materials, explore freely and start improvising without inner judgment or expectations for instant results. 'The white page syndrome' can easily be a crippling factor that prevents any first-step attempt to happen in a joy full and free way. In this workshop the participants are invited to play along with several strategies to un- block this fear to start up! Automatic writing, working with opposing forces within a research process, manipulation of objects, authentic movement and explorations in different environments (inside and outside-area's of KUB gallery) and taking time to reflect on the process. There will be a presentation of the short solo works-in-progress to the public as a closure of this workshop. Through these strategies and playful exercises, the participants initiate the improvisation and exploration-process of promising themes for their creation. The goal is to work alone, but feel less alone. The goal is to be free from inner criticism, to let energy circulate freely and to be aware of how coincidences can nourish the process of solo creation. The workshop is open to a maximum of 12 participants from different disciplines and different levels of experience. Application: Please tell us in a short text from your interest in the workshop and describe in some words your artistic background. Jacqueline van de Geer: Originally from the Netherlands, I have crossed the Atlantic Ocean in 2005 to live and work in Montreal. I have completed a Bachelor in Visual Arts as well as a Bachelor in Performance Arts in my home country. Since having immigrated to Canada I have been honoured to perform for several Montreal based festivals and groups and performed my solo performances in Canada, Europe and the USA. These experiences have provided me with an opportunity to collaborate with a wonderful eclectic community of artists in various domains: dance, integrated arts, theatre and performance art. My practice draw inspiration from universal themes such as heritage, family, democracy, warring and the politics of exclusion. I find that history often is closer to our present world than we realize and it is interesting to me to research and reveal those connections between the past and the present, that are most of he time uncovered and somewhat hidden. I use a variety of skills: movement, monologue, object manipulation, improvisation. I love working with absurdity, dark humour and irony. intimacy, garnering trust and at revealing the 'unsettling' are critical to my performance practice. Lulu Obermayer, geboren 1989 in München, wurde in New York am 'Lee Strasberg Institute' und 'Stella Adler Studio' zur Schauspielerin ausgebildet. Im Februar 2017 absolvierte sie den Master 'Solo Dance and Authorship' am 'Hochschulübergreifenden Zentrum für Tanz' in Berlin (Universität der Künste und Hochschule für Schauspielkunst Ernst Busch, Berlin). Von 2010 bis 2014 studierte sie 'Contemporary Performance Practice' am 'Royal Conservatoire of Scotland' und Dramaturgie an der 'Hochschule für Musik und Theater in Leipzig', u.a. bei Hans Thies Lehmann und Carl Hegemann. In ihren choreografischen Arbeiten setzt sie sich mit Repräsentationen von Weiblichkeit und dem Alleinsein auf der Bühne auseinander. Sie bedient sich am dramatischen Kanon der Frauenfiguren, in dem sie die weiblichen Figuren aus ihrem Narrativ isoliert, um ihnen eine neue Handlungsmacht und ontologische Auseinandersetzung zu gewähren. Dabei überlappt, unter der Verwendung von Elementen der Oper, Choreografie und Performance, der emotionale mit dem theatralen Apparat. Obermayer entwickelt Performances, in denen ein Moment in die Ewigkeit gedehnt wird. Für das Schöne auf der Schwelle zur Peinlichkeit spielt sie sich um Kopf und Kragen. Ihr Solo 'Tosca 'performte sie im 'Batard Festival' an der 'Beursschouwburg' in Brüssel, im 'Performing Arts Festival', in den 'Uferstudios' in Berlin und im 'Trente Trente Festival' in Bordeaux. Weitere Performances national und international: 'Highways Performance Space' (Los Angeles), 'Sophiensaele', 'Ballhaus Ost,' '100grad Festival' im HAU2 (Berlin), 'Fountain Art Fair,' 'Outlet Gallery' (New York), 'The Arches', 'Glasgow International Festival' (Glasgow), 'blauverschiebung' Festival (Leipzig), 'Galeri Non' (Istanbul), 'International Performance Art Festival' (Schweiz).